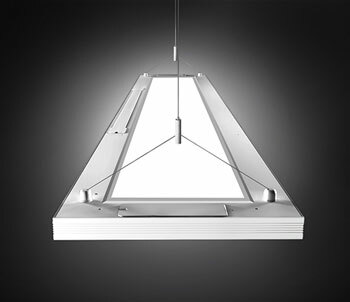 The suspended Up/Down led panel light is a commercial pendant lighting fixture utilizing an advanced LED optical system to achieve superior performance. The unique design is nearly transparent luminaire when off and excellent uniformity and efficiency when on, reaching 55% downlighting and 45% uplighting distribution, making the illusion of the light floating in mid-air, included UL Recognized constant current driver which support 0-10V dimming, suitable for indoor lighting. It has color temperature changing optional function which is available in 3000K, 3500K and 4000K.